Exhibition Dates – 1 September – 31 October, 2015. 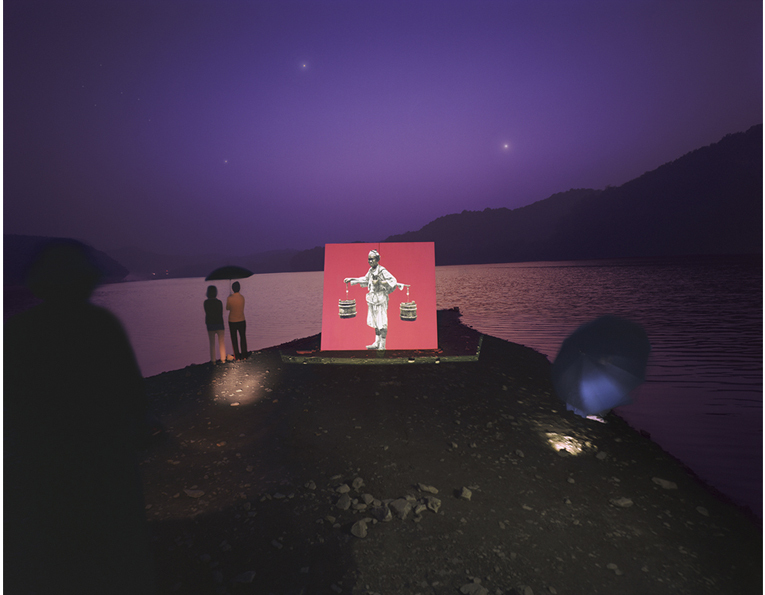 This exhibition is the first in a four part series examining contemporary Korean photography and its impact in the rich history of contemporary works. 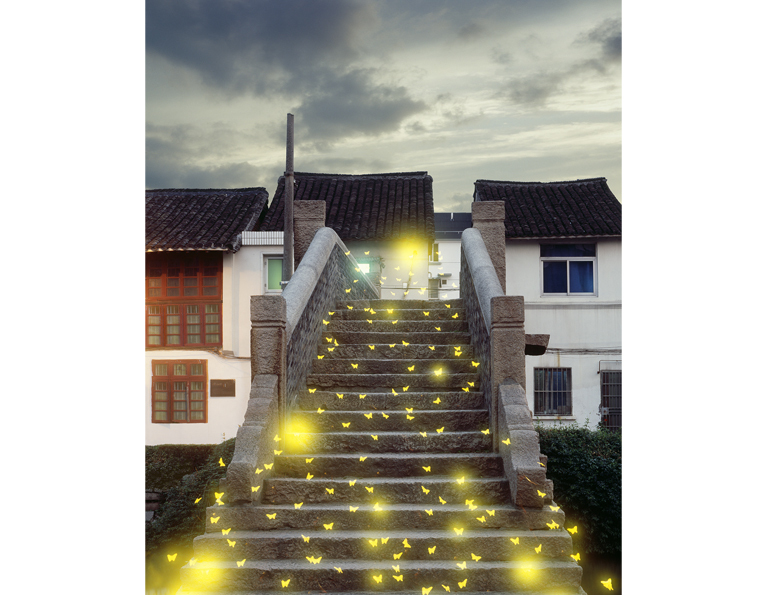 Exhibitions are slated for 2016 and 2017 looking at different means of expression using photographs, as well as looking at the ideas behind the cultural landscape of South Korea. There is a space in which reason dissipates. There is a special place that is outside of the fence of concepts. The place is outside and inside of my self at the same time; when I reach that place, I do not merely depend on my sight, but I exploit all of my senses. When all senses are unlocked, a new world is opened. While creating this peace, I summarized lights in various symbolic forms into nabi, the butterfly. The butterfly, symbolizing a being moving from this world to the other, a spirit, was used to signify a gate and a messenger linking the two worlds. Nabi, the title of my work, also means prophet in Hebrew. The sphere that sometimes appears stems from the original form and order of the universe. I expressed the spirit inside the form, not the form itself, in the form of nabi, the butterfly. The tree in spring pushes out new sprouts, flowers and bears fruits. Then, in autumn its leaves turn red and are fallen into the ground, decays into manure during winter, and again becomes the nutrient for pushing out fresh shoots in spring. It repeats this cycle; in 1-year cycle, it lives for tens of years or hundreds of years. Although it comes out of the same root, stretches its branch, bears flowers and fruits every year, it always bears ‘fruit of the year’. Even one tree repeats the death and birth of life in its cycle, and the more it repeats, the more its root deepens as well as trunk gets thicker and stronger. Human is born nourished from his parents’ body, grows up suckling to mother’s breast, and makes a model of his parents until he reaches to the age accountable for himself. As the time comes when he can be responsible for his life and carrying it out for himself, human also reproduces his own child and becomes an adult. As his parents did, he also brings up his child with his ability, and he gets stronger and tough but soon gets smaller as time goes. The death of grand-father gives a birth to his grandson. Human genealogy, which develops succeeding to generations through a silent teaching of ancestor, makes no difference from the circulation of tree, which bears a life in the process of the fallen leaves decay into the nutrients for the fresh sprouts. Perhaps, isn’t it true that the death of human doesn’t end with his death, but it bears ‘fruit of that generation’ by the birth of new life which has the same root, is it? The Historic Present Project was intended as a study on the essence of photography, an effort to recollect the memories of changing spaces. I had questioned what is it that we discuss when the present and the past named history make a conversation. This is the result of such quest. Presenting Interconnection and Infinity and Beyond that follow historic present, the exhibition observes how our reality is transformed into an imaginary fantasy, where the infinitely invisible scenery that used to unfold in history appears in real life. Living in the contemporary Korean society means piling up layers of unorganized time. The way it is changing takes us somewhere unknown in haste. Joanne Junga Yang is the director of Y&G Art global contemporary project, an agency specializing in the exchange of fine art photography, as well as finding and introducing contemporary artists from around the world to the Asian public. She worked as a curator of the Seoul Photo Festival (2011) and co-curator of the Dong Gang International Photo Festival (2013). She has organized and curated many exhibitions on contemporary art and photography. In 2011, she was awarded a commendation by the mayor of Seoul, Seoul Metropolitan Government (for her curation of the Seoul Photo Festival) and she has been appointed Director of the International Committee, Seoul Photo Festival, by the Seoul Metropolitan City Government. Joanne served as an editor-in-chief of Point: Asian Contemporary Art magazine (2010–2011), editor-in-chief of ‘ArtVas-The Photo’ magazine (2012–2013) and has published many columns and interviews to Korean and International photographic art magazines such as Monthly Photography, PhotoDot, Photo Plus, PANTOM, and many more. wall space gallery opened in Santa Barbara in 2010. The only gallery in Santa Barbara focused on the craft of Contemporary Photography taking the lead in showcasing artists who transcend the medium, looking to expand the photographic arts. In addition to our exhibition schedule, we have a series of artist lectures, studio and community events. First opened in Seattle, Washington in 2005 wall space focuses on emerging and mid career artists and expanding the ideas of what photography is as well as what it can be. Our artists are craftsman, using photography as an integral part of their work, but layering emotional stories with techniques and processes that enhance the visual experience. The gallery has gained an international reputation for finding and showcasing new artists and exposing new ideas. 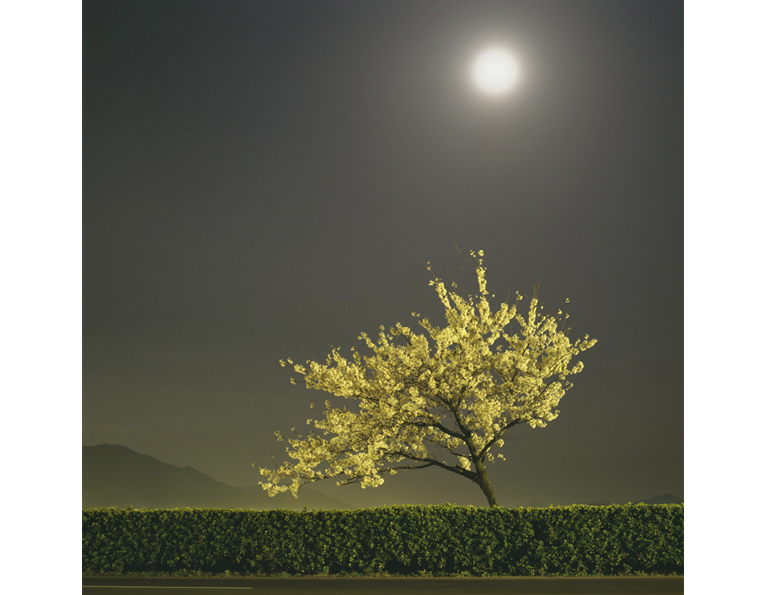 For more information about wall space gallery or the artists of Surveying the Landscape: Korean Contemporary Photography please contact the gallery at 805.637.3898, via email at gallery@wall-spacegallery.com or contact Gallery Director Crista Dix directly at crista@wall-spacegallery.com.